Surrounded by boutique shops, chic restaurants and trendy bars in the Marais district of Paris, Les Jardins Du Marais offers 4-star accommodation close to the Place des Vosges, Hotel de Ville and the Opéra Bastille. The elegant rooms feature Macassar-ebony furniture as well as free wi-fi access, flatscreen TVs and air conditioning. Start the day with a fresh continental breakfast in the dinning room, indulge in treatments at the hotel spa and relax in the patio garden surrounded by palm trees. 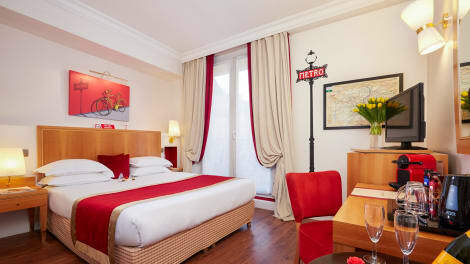 Found in the heart of Paris, the Hotel Brady – Gare de l’Est is less than 10 minutes’ walk from the Gare de l’Est station, and also conveniently located for the Gare du Nord and sights like the Place de la Republique, while Chateau d’Eau metro is less than 200m away. 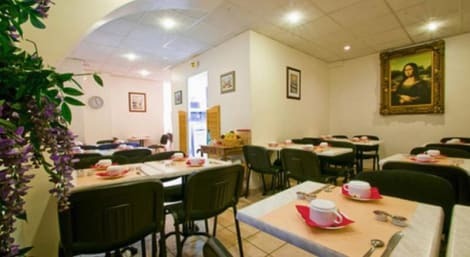 The hotel has a 24-hour reception, an optional breakfast buffet service, and has been recently renovated. Rooms offer modern décor, private bathrooms, flat-screen TVs with international channels and free wi-fi. 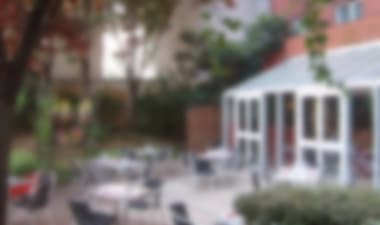 At halfway between the Gare du Nord and the Gare de l'Est, the 76 rooms At Gare Du Nord with its internal garden is suitable for both business and leisure guests. The underground is very close and with the excellent transportation links it makes it easy to move in the capital city. 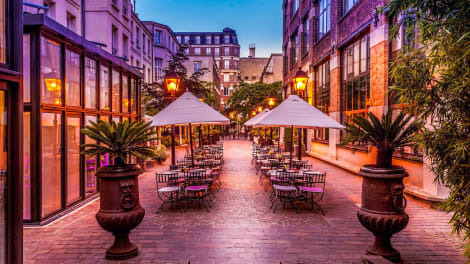 Only a few minutes on foot from the Eiffel Tower, the 4-star Waldorf Trocadero boasts traditional Parisian splendor in a fantastic position for exploring the French capital. The modern rooms are elegantly decorated and come with free wi-fi access, private bathrooms and satellite TV with Canal + Channels. 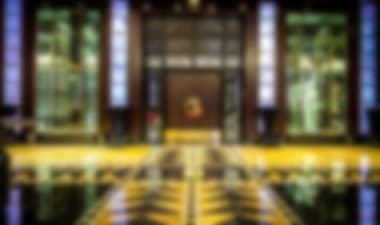 Ask at the 24-hour reception for the best tips on where to visit, return for a late night drink in the stylish hotel bar then start the next day with a delicious continental breakfast. 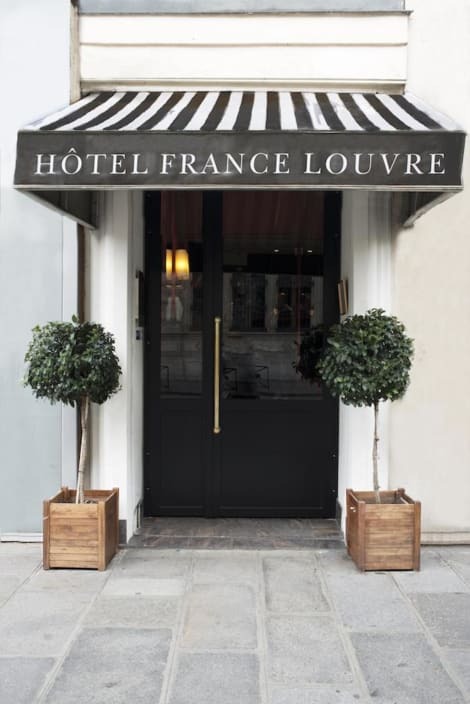 The 3-star Hôtel France Louvre is a Haussmann style hotel in the heart of the 4th arrondissement, near The Marais district and the Louvre Museum. Its facilities include a 24-hour reception, a lounge, and a breakfast buffet is available. The classic rooms feature free wifi, flat-screen TVs with satellite channels, mini-bars, and private bathrooms. Oozing style in Paris’ 17th arrondissement, the 4-star Westside Arc de Triomphe offers chic accommodation and excellent service only minutes on foot from the Arc de Triomphe and the Champs Elysées. 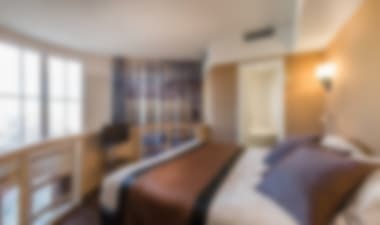 The contemporary rooms are furnished in tasteful wooden panelling and come with free wi-fi access, cutting-edge LED TVs, Apple™ docking stations and luxury private bathrooms. 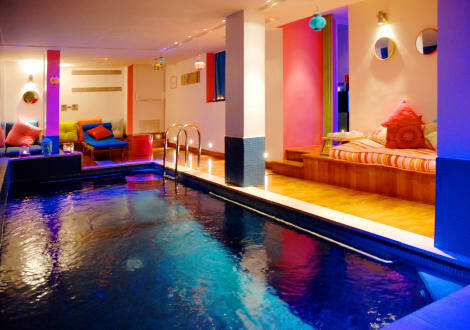 Take a dip in the indoor pool or lounge in the sauna before kicking back with cocktails in the sophisticated hotel bar. This recent Parisian residence in the 16th arrondissement is ideally located in the heart of the peaceful and pleasant district of Auteuil; near the Eiffel Tower, the Champs Elysees, the Porte de Versailles and the Bois de Boulogne. 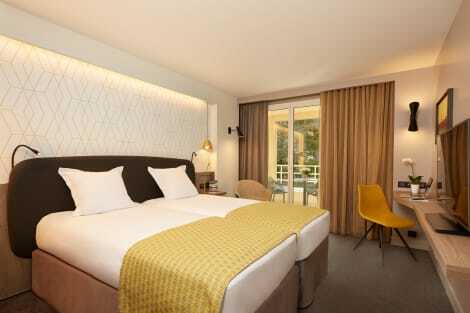 Contemporary style, cozy and warm spirit: this 4-star hotel, completely renovated, has 102 rooms and suites. The family spirit here result into an authentic atmosphere: the smell of fresh pastries and bread, the perfume of tea, the items and books stories, the warm and joyful colors , Good times, long conversations, laughs, aperitifs ... In one word... life. This hotel offers many room types, including 26 rooms with views of the Eiffel Tower. Explore Place Gustave near the hotel, a spacious area where you can eat, drink, chat, relax and even work. Discover its Parisian neo-brasserie with fresh dishes cooked on-site, a champagne bar, wine bar, tea room, street food bar and even a concept store, all in a warm, friendly and easy-living environment. Stay in one of 386 guestrooms featuring flat-screen televisions. Complimentary wireless Internet access is available to keep you connected. Bathrooms with shower/tub combinations are provided. 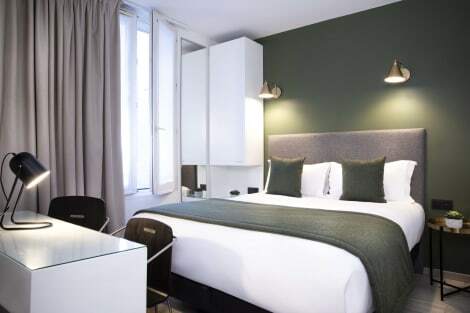 With a stay at Hipotel Paris Bordeaux Ménilmontant, you'll be centrally located in Paris, within a 10-minute drive of Canal Saint-Martin and Parc des Buttes Chaumont. 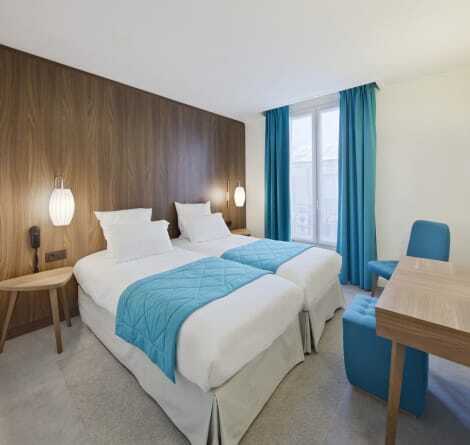 This hotel is 0.6 mi (0.9 km) from Grands Boulevards and 1.8 mi (2.9 km) from Centre Pompidou. Stay in one of 40 guestrooms featuring flat-screen televisions. Complimentary wireless Internet access is available to keep you connected. Conveniences include phones and a turndown service, and housekeeping is provided daily. Satisfy your appetite at the hotel's coffee shop/café, or stay in and take advantage of the room service (during limited hours). Wrap up your day with a drink at the bar/lounge. Buffet breakfasts are available daily from 7 AM to 10:30 AM for a fee.